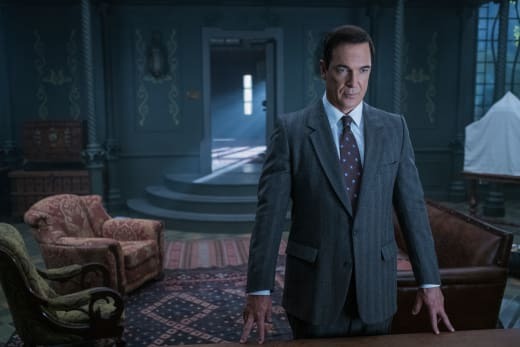 Last Friday, Netflix released the long-awaited second season of its rather dark and engrossing adaptation of Lemony Snicket's A Series of Unfortunate Events. 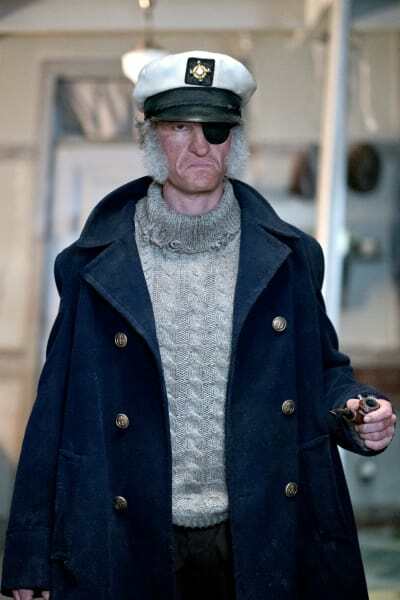 Along with the Baudelaire's slew of expected, yet still unfortunate challenges at the hands of Count Olaf came the exciting addition of new and distinctive caretakers. Fans who have already binged their way through the second season probably recognized several faces: Less Than Perfect's Sara Rue and There's... Johnny! 's Roger Bart, who more recently appeared in another Netflix series, Grace and Frankie. Veep's Tony Hale was also joined alongside Lucy Punch, who you may remember from Ben and Kate and Ella Enchanted. Castle and Firefly lovers were probably most excited to see the appearance of the one and only Nathan Fillion, who made his debut as Lemony Snicket's brother, Jacques Snicket. A near tonal opposite of the story's beloved but sobering narrator, the role sees Fillion stepping back into shoes Dr. Horrible's Sing-Along Blog fans are quite familiar with: Neil Patrick Harris's foil. 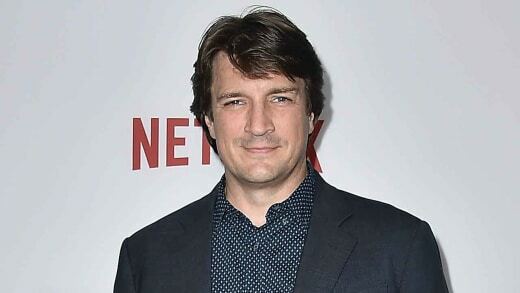 While promoting A Series of Unfortunate Events at this year's WonderCon, Fillion spoke to TV Fanatic about joining the grim and beautiful universe, what he most liked about playing Jacques, and what it's like working alongside both Harris and babies. What drew you to want to work on A Series of Unfortunate Events? It’s such a beautiful program. My God, it’s so good. Spooky painting, you know what I mean? Just really gross place you wouldn’t wanna live and it’s so gorgeous. You’re just like, “It’s captivating.” It’s written so eloquently. The rhythms are so attractive. There’s so much going on in one scene and then the chance to work with Neil again? I mean, why not? Of course, I would do that. We slip into the roles that we’re both very, very comfortable with. Playing enemies. It's a win-win. You’re facing Neil Patrick Harris again. How did this happen? I imagine Neil Patrick Harris was sitting with his morning coffee saying, “We need someone I can really hate. Who would be the perfect nemesis? The perfect enemy?.” Me. Yeah, and it's me. I love working with Neil. So you're playing the brother to one of the story's grimmest characters. What is the best thing about that? I think he has an immutable goodness about him. I think Lemony Snicket is a depressed guy because he’s been through a great deal but in the timeline, Jacques didn’t have to experience all that horribleness. There’s some bad things going on certainly but Jacques still has a lot of hope and a lot of drive for deviance. Have you read the books? Or did you read to prepare for your role? No, I hadn't read the books. I remember the first movie way back when and I thought it was super cool, but it could’ve used more. And here we are. So you watched the first season. Was there any particular villain, parental figure or story that you were really enraptured by? Here’s something that drove me crazy. It’s such an amazing world and there is so much beauty in it, that the kids are the smartest guys in the room. Always, gets a little frustrating for me. I’m that guy. But I can see how the entirety is satisfying for a younger audience watching it and wanting some credit. So, kids being treated like kids, I couldn't get exhausted by that. [Sunny] is the smartest one in the room then. There we go. Boom. You’re talking about cute little actors? That baby is on it. Babies can be hard. Critics can be wary of babies because babies are typically things that you just move or move around. But Sunny is a very active participant in the world. You look at a baby and you just think, “Okay, what are my expectations?” But they just look at the baby and go, “Hey, that was great. Can you hold the giraffe up a little higher? And just stretch up the image so we get a little more. Look over here.” Then, boom. Got it. She’s so easy that baby. I’m telling you, it’s ridiculous. 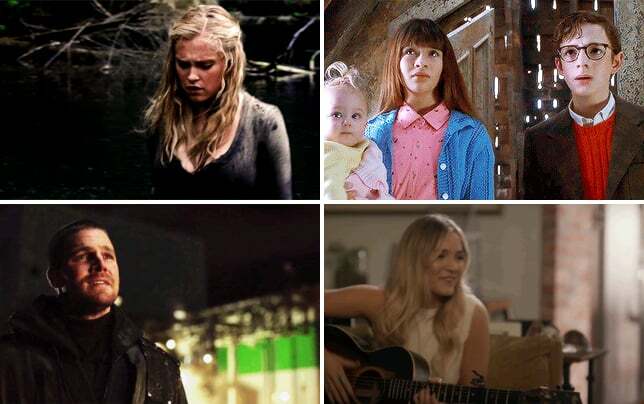 Were there any memorable behind the scenes moments working with the cast on this season? Or moments that really stuck with you from working on this show? You know, making TV is not rocket science, but it takes a group effort. It takes a team. You need people who are good with organizing, you need people with the money to back it, you need people to hire the right people for the right jobs. It's time intensive. It's a lot of work that goes into it. So when I come to work the full day through and there's gonna be a lot going on and there's gonna be a lot expected of you but you're a part of the machine. When I come to work and Neil Patrick Harris has already been there for two and a half hours in a chair doing stuff to his face and he's going to be there for an hour after I leave getting it taken off his face. Then he's coming back the very next day to start the whole thing all over again. I mean, that's a lot of work. So you would rather not have a part that requires a lot of makeup? Jacques Snicket is the perfect role for me. Go on in, put a mustache on me, wig my hair back and then in two weeks, I’m done. I’m out. I come back a week later, I got another two weeks and I'm done. That’s it. I’ve put some time in but nothing like the colossal effort that they do. I come in, I dip my toe in and then I walk away. That’s actually what I do. You were just in Santa Clarita Diet, doing the same thing. Doing the same thing. You know what? I'm gonna be really honest. I think my career is basically a long line of riding coattails. But my gift is knowing which coattails to ride. You spent so many years working on shows like Castle and Firefly – all on network television. Did you find any difference doing a show for Netflix? The day to day is the same. The work is the same. The kinds of projects are I’d say, different. I think Netflix takes a lot more risks when it comes to “Let’s see if this sticks.” I think networks have a finite amount that show they could do any of that. Networks have a whole lot of concern about, “If we put this on in a very important time slot and it doesn’t survive, that’s our investment. Whereas Netflix is a different animal. They take more risks and once your project is out there, it's accessible at any point in time. If you didn't tune in on Wednesday, that's totally good. You can still binge-watching on Thursday.